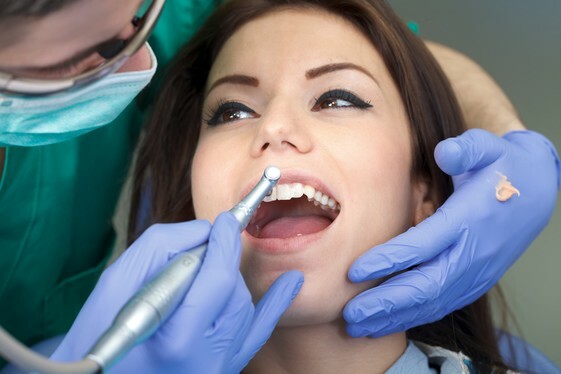 Emergency Dentist Rockville MD | Potomac Dental Clinic, Inc.
To be addressed properly, dental emergencies require a skilled hand. Dr. Parvaneh Sajjadi has extensive experience in treating dental emergencies, quickly repairing smiles, and restoring comfort to individuals of all ages. Patients come from Bethesda, Potomac, Gaithersburg, and all surrounding areas to receive emergency care from Potomac Dental Clinic in Rockville. If you or a loved one has a knocked out tooth, a damaged restoration, or has a severe toothache, contact us at (301) 984-4040, which will connect you with Dr. Sajjadi after-hours as well. During normal operating hours, visit our practice on Hubbard Dr., right off of Rockville Pike. Dr. Sajjadi helps reduce the pain caused by a dental emergency. She can provide pain-relieving medications to alleviate any aching, sensitivity, or soreness. When treating issues, she will make sure all sources of pain are properly numbed, allowing emergencies to be comfortably addressed. Our dental team is compassionate and understanding when helping patients with emergencies. She will determine if any other trauma needs a specialist’s attention, provide medication for pain, and then schedule an appointment for patients. Our team does all it can for those who experience dental emergencies. Taking Care of Lost Teeth: If a permanent tooth is knocked out of the socket, replace it immediately. This ensures your best chances of keeping it. If your child knocks out a tooth, put it in milk. Although it may not be possible to reattach it, the tooth can be used to make a temporary replacement. Fractured Teeth or Restorations: When teeth are broken or fractured, the exposed area can be sensitive or feel discomfort. Make sharp edges softer with dental wax, take pain medication if necessary, and avoid chewing in that area. Be sure to collect all pieces and fragments for reattachment. Dr. Sajjadi and her team will address the problems patients face with personalized treatment and a gentle touch. It is our mission to provide rapid relief and a long-term solution when dealing with dental emergencies, restoring your smile to its full strength and beauty. Contact our Rockville dental office today at (301) 984-4040.